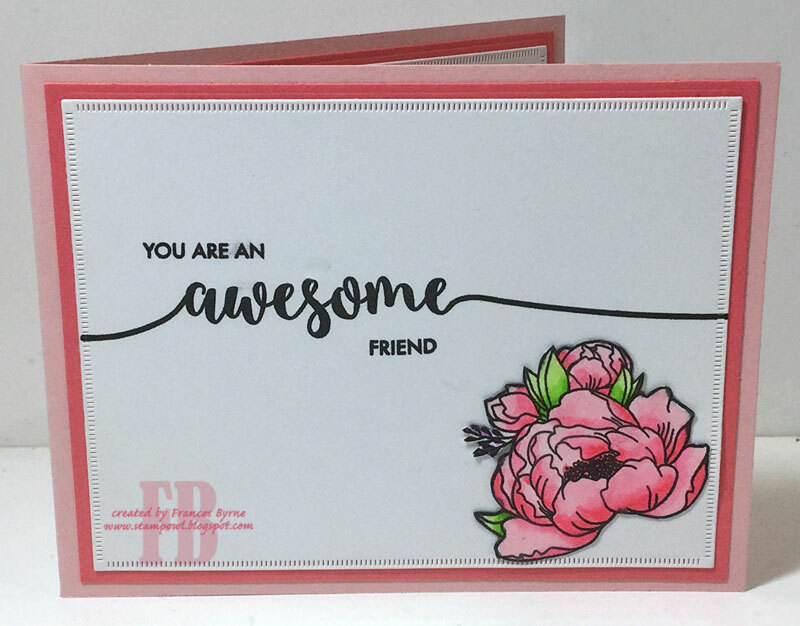 Today I am sharing a floral card using a new stamp set I received as an Easter present as I didn't want chocolates. This stamp set is from a Aussie company called Uniquely Creative. Seeing I have finally found a watercolor cardstock that will work well with Zig Clear Color Real Brush Markers, I pulled out my zigs to color the images .... much better results and they were easy to use with this cardstock. 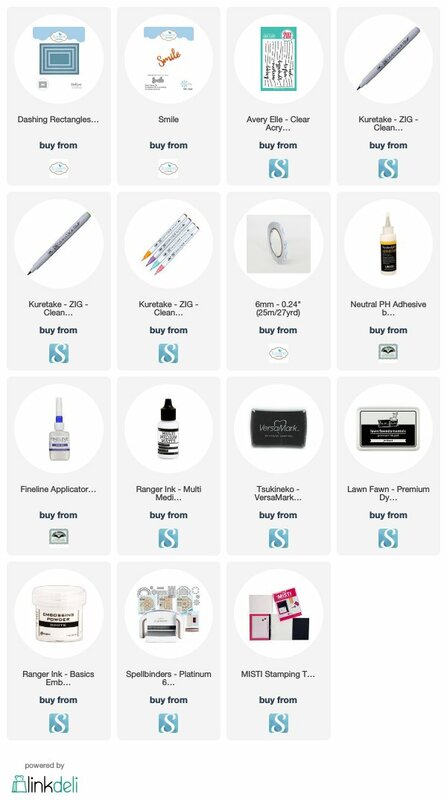 If you are interested the Canson XL Cold Press Watercolor paper. 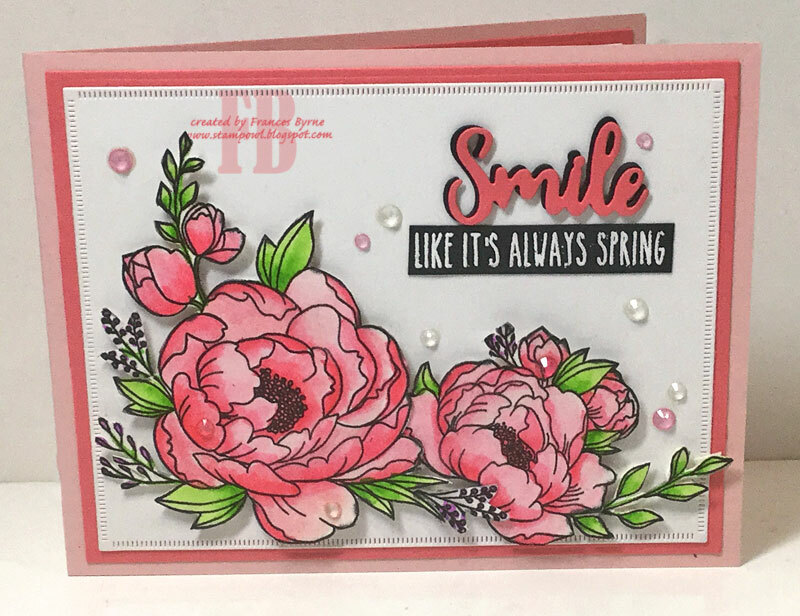 I wanted to use one of the sentiments from the stamp set, so I die cut the word "Smile" from both black & pink cardstock, layered the sentiments together offsetting slightly so you get a black shadow. I stamped the sentiment onto black cardstock and embossed in white and cut off the "smile" which is also on the sentiment. To finish off the card I used clear and pink transparent crystals randomly over the card. For the inside of the card I added a sentiment using Avery Elle's Sentimental Too Clear Stamp set and added another flower.